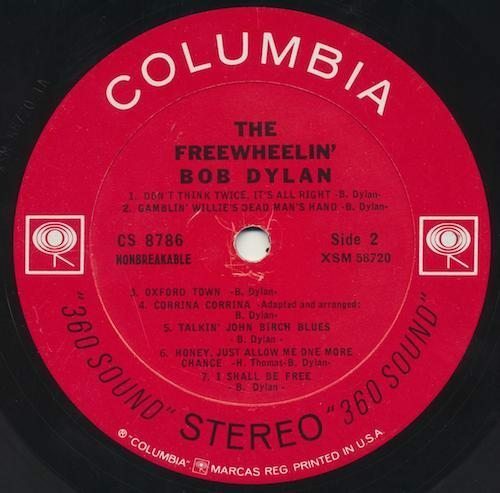 Bids now open for a deleted tracks stereo version of Dylan’s Freewheelin’ Bob Dylan. A record considered to be one of the rarest and most valuable on the planet has gone up for auction on eBay. The starting bid? A cool $100,000. 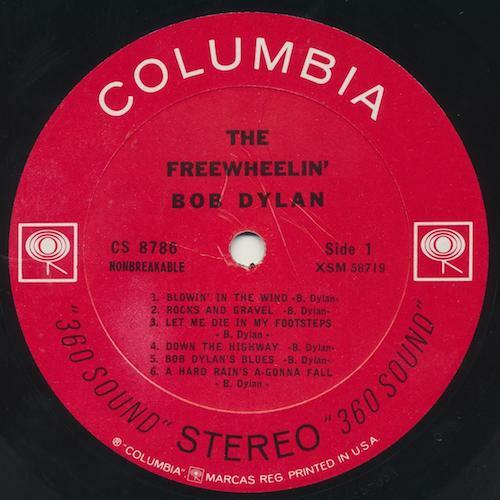 Released in ’63 on Columbia Records, Freewheelin’ Bob Dylan showcased Dylan’s unparalleled songwriting talent, propelling him into national and international acclaim. Just prior to the album’s release though, four of the songs deleted from the running order. Legend has it that when CBS producers wouldn’t let Dylan perform ‘Talkin’ John Birch Blues’ on the Ed Sullivan Show, the CBS-owned Columbia Records pulled that track along with three others, replacing them with four newly recorded ones. According to Record Mecca, one of pressing plants didn’t get the memo, pressing a small number of copies from the original stampers. A handful of mono copies were found in Southern California in the ’60s but it was only in 1992 that a stereo copy was discovered at a church thrift shop in New York City. Only two stereo copies are known to exist, one of which previously sold for $35,000. David Eckstrom of Forever Young Records in Texas bought that first stereo copy in its original 1992 Goldmine Magazine listing. Now over two decades on, he’s listed the record for auction on eBay with an ambitious starting bid of $100,000. Well-heeled Dylan obsessives can put in a bid right here. Less deep pockets? Find collectables across all prices ranges from Dylan here.